Applying heart rate variability (HRV) analysis on ambulatory ECG monitoring is a very useful decision support tool for cardiovascular diagnosis. The presence of non-valid beats (artefacts) on the RR interval time-series affects the diagnosis accuracy using this technique. Despite the importance of artefacts recognition prior to exclusion, no paper was found characterizing quantitatively the performance of, on the one hand, the extracted features and, on the other hand, the clustering methods on artefacts recognition for HRV analysis. In this paper we evaluate the performance of several combinations of three feature extraction methods and four clustering methods (based on machine learning techniques) for the artefacts beats recognition on the ECG signal. 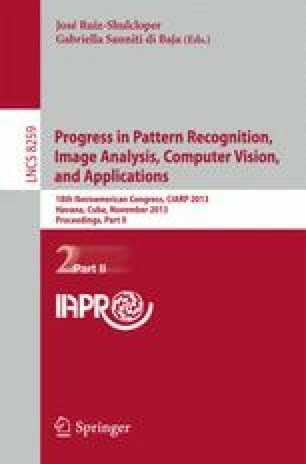 The trade-off between performance indexes suggests the use of a non-linear principal component analysis as feature extraction method and a multilayer perceptron (MLP) as clustering method, with sensitivity, specificity and positive-predictive-value (PPV) equal to respectively 95 %, 95.9 % and 98 %.